Perfect for anywhere you’d like the combined power of on/off and dimmable lighting control options. The adorne Whisper Dimmer Switch features an innovative design that uses whisper-soft motion to dim and brighten lights or simply toggle them on and off. Use on its own to control a light from one location (single-pole operation) or pair with a 3-way switch to control a single light source from two locations (three-way operation). Pair with matching Whisper Switchto create a uniform look throughout a room or your entire house. This item is also available in magnesium. Rated 5 out of 5 by Cleoarty from Handsome looking, easy install We wanted to upgrade the look of all of our light plates and switches and also add dinners where we’d use them and Legrand’s are very attractive and easy to install. We did put them in upside down at first by mistake but then fixed. We used these in both our bathroom and living room and they add a nice feature to the house. Rated 5 out of 5 by Ellen from Sleek I purchased these and our electrician installed them - I think they are beautiful and make the kitchen & great room look more up to date !! 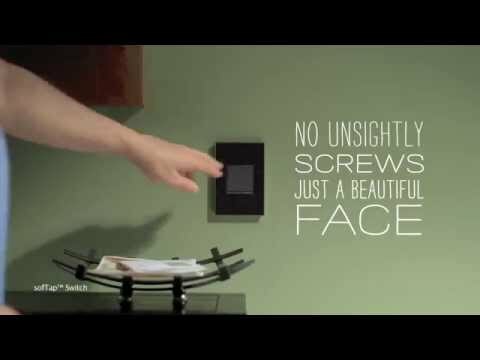 Rated 4 out of 5 by BrockM from Gorgeous and Easy to Install Anyone considering a dimmer that features a modern, screwless appearance, coupled with a simple installation process and detailed instructions should definitely try this dimmer. EVen as a novice at electrical work I was able to easily install several of these dimmers throughout my home with the included hardware. Instructions were really easy to follow and the final appearance looks just the pictures online - a dimmer can really look that good and function well at the same time. I'll definitely be back to buy additional switches and probably even some of the outlets and GFCIs as well. I really love this product line because of the square design that creates a very cohesive feel in each room and the installation is surprisingly straightforward! Is Legrand planning to release a non- wi-fi but tru universal version of the dimmable Whisper switch? I need the LED capability but not the wi-fi.